The campground was really quiet last night despite being quite full. We spent yesterday afternoon just chilling out and reading in the warm sun ... you can tell Autumn is arriving as it is really pleasant to sit in the sun! 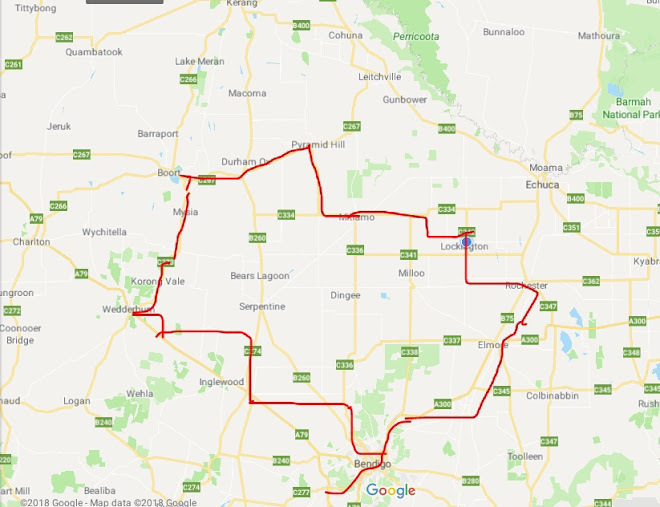 The ride back to Bayswater was great, we rode the rail trail the whole way back to Lilydale instead of getting off at Mt Evelyn and cycling back to bayswater from there, we caught a train at Lilydale and got of at Croydon and picked up the bike track from there to home. You don't realise just how much of a down hill you had going from Mt Evelyn to Warburton until you do the return journey back! Although the gradient is nice and easy and Neil and I found it relatively good going and even Dad thought it was okay. From Mt Evelyn to Lilyday it is nothing but down hill although we did get a bit lost and thought the trail continued on from the funeral home but we couldn't find a continuation and if there was one it came to a dead end at the school. The train was late and we had to split up into 3 different doors and I think travelling on the train with the trailers is alot more stressful than cycling up a hill with traffic. But Dad had his mind set on the train and there was no going back! I think Neil suggested it because the roads would be bedlam due to easter and places finishing early because of the long break ... but we managed to get on and off without any real dramas! Good to be back home and it is strange sleeping in a bed - I have become accustomed to sleeping on the ground and at the moment have no trouble in adapting to either sleeping in a bed or on the ground! We stay here for Easter and will resume our riding on Tuesday after Easter break and will start our trek North!